The GW Police Department responds to crime on campus, but not all of the incidents are a cause for concern. As part of its coverage, The Hatchet reports on crime and the campus police department throughout the school year. 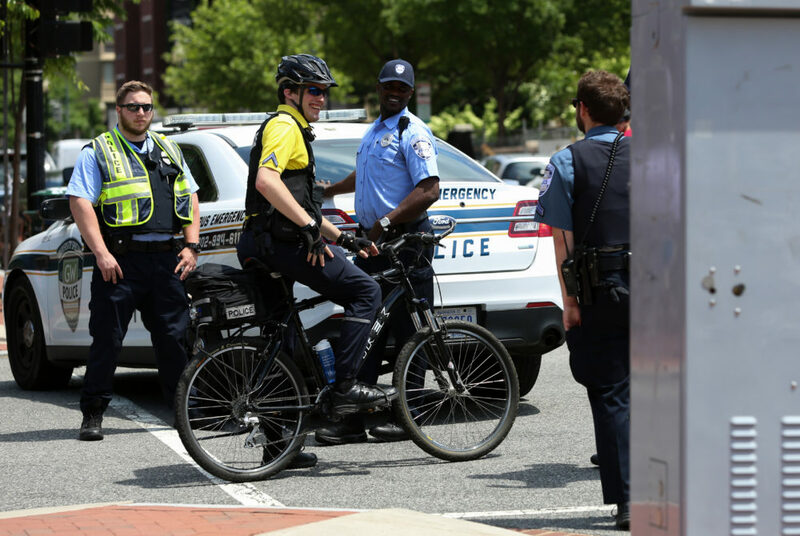 This year, the GW Police Department had its two top officials resign and the department later nixed the chief position in favor of a new structure. But, in addition to the bigger news within the department, we also document the day-to-day campus crimes GWPD encounters so students are aware of what’s going on in their community. In each entry published weekly in the GW crime log, we list the type of crime, time, location, the outcome of the case and a brief description. A female student reported to GWPD that ice thrown from an upper floor of Shenkman Hall struck her in the head. EMeRG assessed the student and transported her to the GW Hospital emergency room for medical treatment. GWPD responded to Carvings restaurant for a report of an intoxicated male, unaffiliated with GW, who was sleeping in the men’s restroom. EMeRG assessed the subject, who was in his mid-60s, and transported him to the GW Hospital emergency room for medical treatment. A female staff member of the Textile Museum reported to GWPD that a male child of a non-GW affiliate was left unattended and destroyed an art exhibit. A female faculty member reported to GWPD that she left a container of fruit on her desk and a container of hummus in her office refrigerator. When she returned to work the following day, both containers were missing from her office. Several staff members reported to GWPD officers that a female student created repeated disturbances in their offices in the Elliott School. The student visited the staff members’ offices multiple times, cried and became overly emotional. She refused to leave on multiple occasions, but there was no violent behavior.